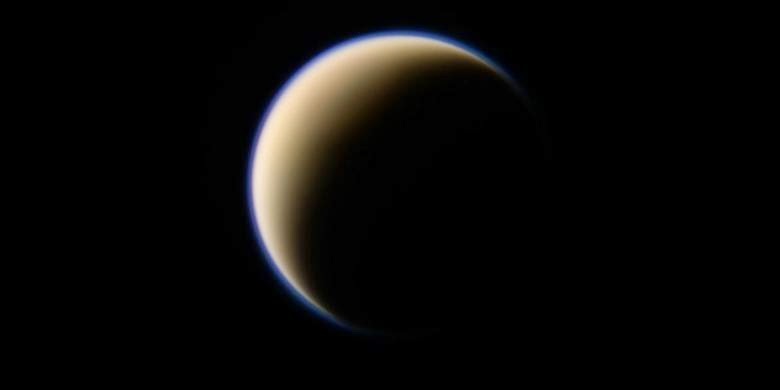 By using data collected by the Cassini spacecraft, scientists have uncovered the smell of Titan, one of Saturn's moon. The team led by Joshua Sebree, an assistant professor at the University of Iowa, said that Saturn smelling "sweet, aromatic, and as fuel". To uncover the smell of Saturn, Sebree and his team mix several kinds of main gas contained in Titan, namely nitrogen, methane, and benzene. They also added other minor gases and tries constantly so compositionally similar as Cassini captured data. After trial and error, scientists have finally found a formula that is similar to the Cassini data. They reveal that Saturn has a sweet and aromatic odor. "This is the closest I have ever achieved, to our knowledge, to make laboratory experiments with Cassini data," Sebree said as quoted by Science Alert on Monday, June 16, 2014.